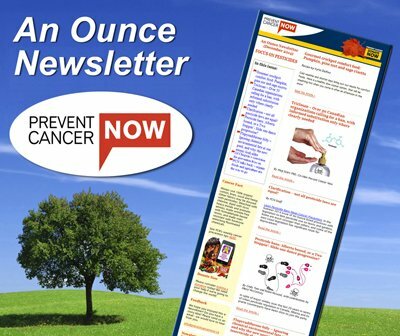 Prevent Cancer Now » How could one serving a week of deep-fried food cause cancer?! We all know that good food helps you be healthy; bad food, well, not so much. So, maybe it is not all that surprising that researchers found that eating deep-fried foods such as chicken, fish, French fries or doughnuts increases men’s risk of prostate cancer by about a third over the risk for men who eat less deep-fried foods. The real wake-up call is that this effect was seen with only one serving per week of deep-fried foods, compared with fewer servings, in a large Washington State University study of roughly 3000 men (half with prostate cancer and half representing a control group). There are a few reasons why these deep-fried foods could be linked to increased prostate cancer risk. First, when starches are deep-fried they react to form acrylamide, a known carcinogen. The good news for snackers is that potato chips (what they call “crisps” in the UK) didn’t confer the same risk. An enzyme “asparaginase” is often added to sliced potatoes before they are cooked to make crispy potato chips, with the goal to reduce potential cancers. Second, when oil is re-used many times, potential carcinogens can build up and be transferred to the next batch of food. 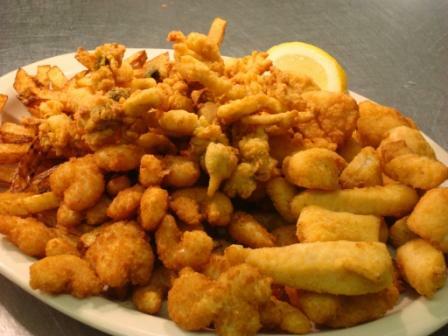 Next, foods accompanying the deep-fried foods might also play a role in increasing the cancer risk. For instance, over-cooked proteins – as in the char-broiled burger that goes with the French fries – contain carcinogenic cyclic and polyaromatic hydrocarbons. Thus, the burger that goes with the French fries might add to the risk of cancer. Finally, what you don’t see on the plate is important too. The authors speculate that since fast-food outlets carry a lot of deep-fried foods, vegetables and fruit might be skipped during these meals. The bottom line is that we have one more scientific study backing the importance of cancer-prevention diets. Your best bet is a brightly-coloured selection of vegetables and fruit, with frequent choices of plant-based proteins, and gently cooked animal-based proteins. Organically grown, locally produced foods are ideal. Bon appetit!